Let your customers know you're thinking about them by sending them custom imprinted promotional Tools.Make sure your message is closely examined for years to come, by giving customers this handy and attractive measuring tool. 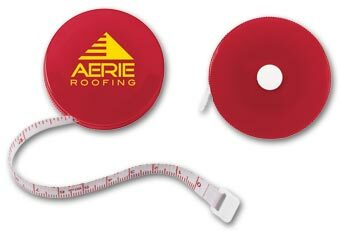 This compact tape measure is a great way to keep your message in customer hands for years. Compact, easy-to-carry flashlight is a bright way to put your name where customers can see it! Keep on reading when others are sleeping! 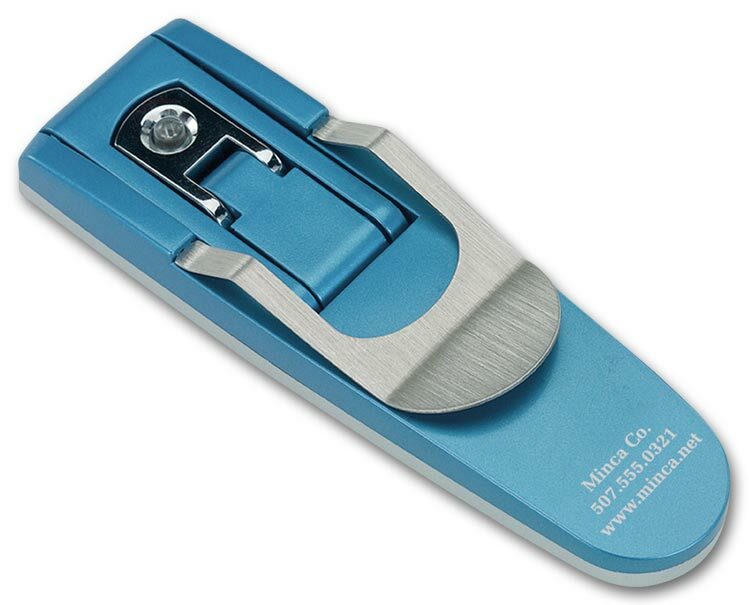 Robot Series Clip On Book Light from Deluxe opens at the press of a button. Bright LED turns on automatically at just the right angle for reading. Sturdy metal clip grips book securely. 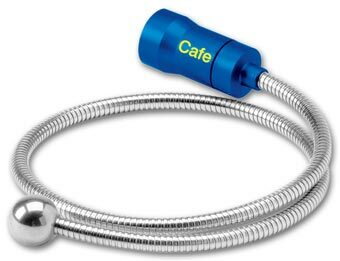 Great for home or office use! 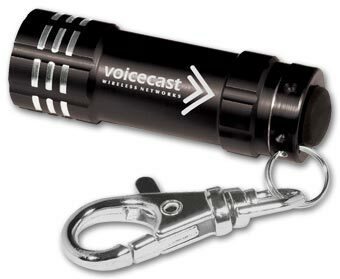 The custom imprinted promotional Dynamo Flashlight with Cord doesn't require batteries. 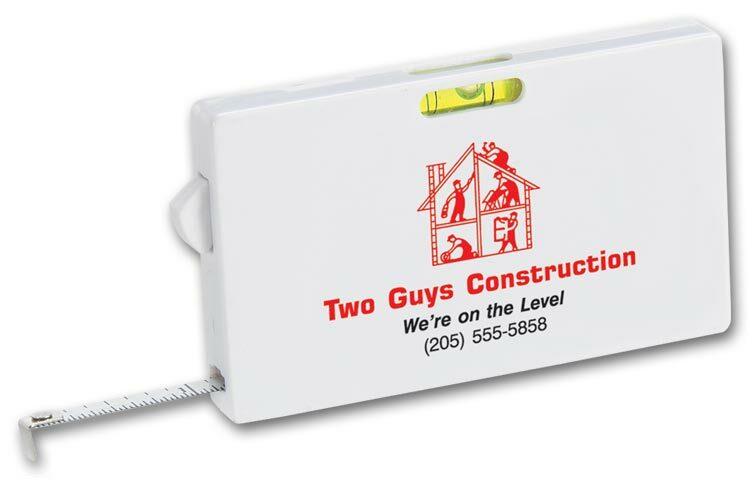 Just plug in to light up any work area. 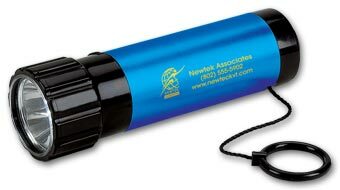 The custom imprinted promotional Razor Thin Flashlight fits nicely into a handbag or briefcase. 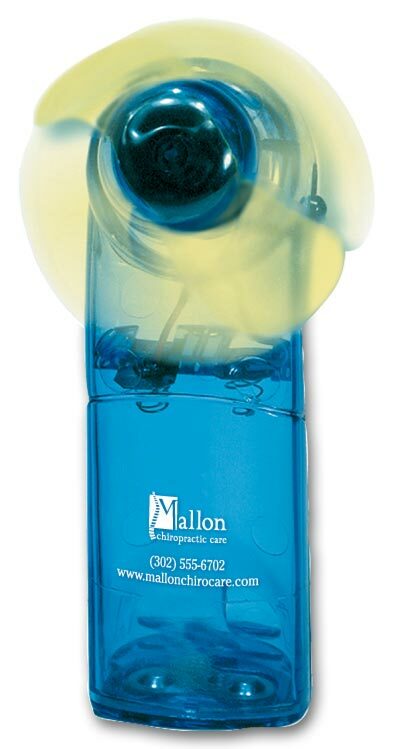 This powerful mini fan with built in light includes your business name or logo. 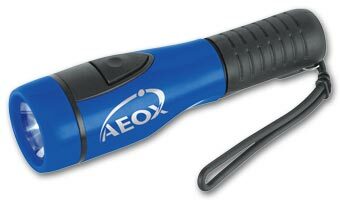 Light up your customer's world with this aluminum LED flashlight which comes imprinted with your company logo. 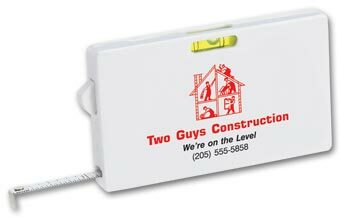 Whether you are searching in a tight spot or trying to find your way in the dark, this custom imprinted Micro 3 LED torch/key holder will light up your way. Light up your customer's world with this aluminum LED flashlight which comes imprinted with your company logo and is sure to be close to you at all times with the handy pocket clip attached. Light up your life with this Value Flashlight and high intensity white bulb. 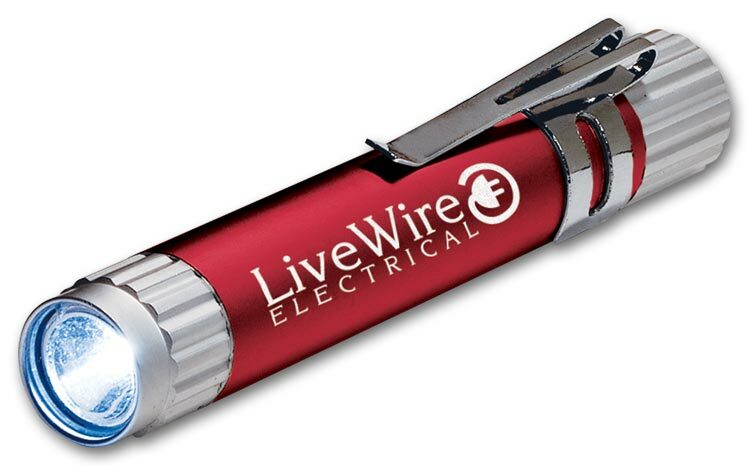 Stay on track with this Metal LED Flashlight that can hang on your wrist when not in use. This Mini Flex Aluminum Light is not your average flashlight. It's flexible coil arm bends in any direction making it useful anywhere! The P3 Flashlight is small, compact, and lightweight with a handy clip making it easy to turn on in a rush with just one hand.